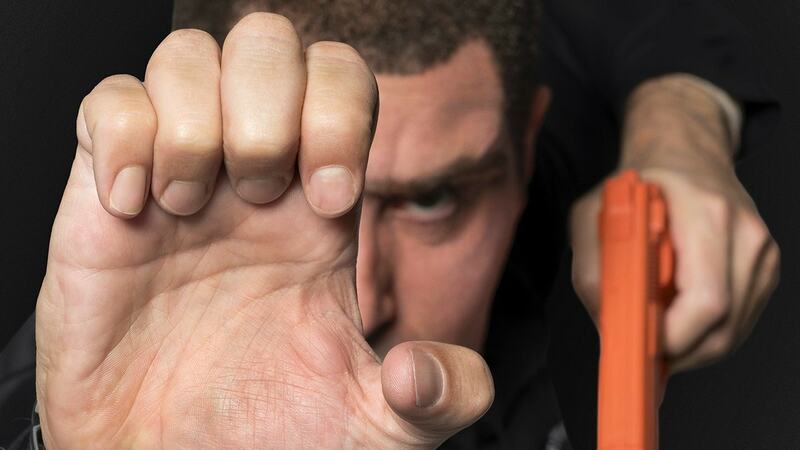 Sacha Baron Cohen’s new Showtime series “Who Is America?” begins airing tonight. Across seven episodes, Cohen plays an array of characters who interview “The diverse individuals who populate our unique nation.” Ahead of its premiere, the show shared a new clip featuring politicians and other prominent figures endorsing a gun training program for children as young as four years old. During one interview, Larry Pratt, Executive Director Emeritus of Gun Owners of America, reads a script detailing why such a program would succeed, and he unwittingly uses the names of several musicians as scientific evidence. “Children under five also have elevated levels of the pheromone Blink-182, produced by the part of the liver known as the Rita Ora,” Pratt says. “Who Is America?” marks Cohen’s first television project in over a decade. It airs tonight on Showtime at 10 p.m. EST.. In the clip for his ne series “Who Is America?” Cohen dons the disguise of a new character, Colonel Erran Morad, a so-called anti-terrorism expert. In the preview, Morad does an exploration into America’s issue with school shootings mockingly advocating for arming children as young as four. He sits down with Virginia Citizens Defense League president, and gun-rights advocate, Philip van Cleave, to trick him into saying some questionable things about 2nd Amendment rights in the U.S. He even goes as far as to get van Cleave to star in a fake instructional video that seeks to use pleasant animals and cartoon characters to explain how to use guns, rifles and even rocket launchers to kindergarteners. He even gets a slew of republican congressmen and senators to voice their support for the prankster’s fake program “Kinderguardians,” a fictional three-week programthat boasts giving toddlers training with arms. Despite one congressman noting that politicians typically don’t hear about a program and then voice their support for it publicly, several do on camera. Perhaps the person that comes off looking the most scathed by Cohen’s prank is executive director of emeritus of Gun Owners of America Larry Pratt. At the end of the video, he recites language that’s apparently from a teleprompter citing fake facts that include the misused names of pop culture figures like Cardi B, Rita Ora and Blink-182. 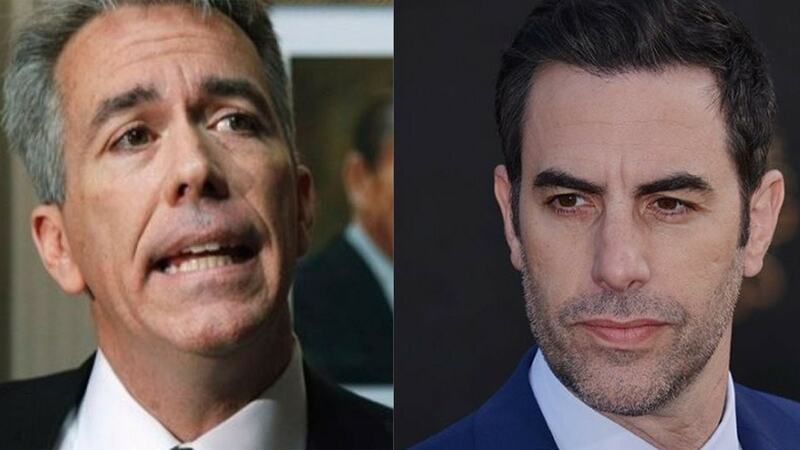 Former Illinois congressman Joe Walsh joined a growing list of conservative politicians blasting comedian Sacha Baron Cohen’s new Showtime series “Who Is America?” after Walsh said he got duped into supporting a fake program in Israel providing firearms to 4-year-old children. Cohen is “a funny guy because he gets people to say stupid things,” Walsh told CNN on Saturday. Dana Rohrabacher, R-Calif., and Joe Wilson, R-S.C., along with former Senate Majority Leader Trent Lott, R-Miss., into voicing their support for the prankster’s fake program “Kinderguardians,” a fictional three-week program that boasted giving toddlers training with firearms. “The intensive three-week Kinderguardian course introduces specially selected children from 12 to 4 years old to pistols, rifles, semiautomatics and a rudimentary knowledge of mortars,” Walsh said directly into the camera. “Then they had me read about this 4-year-old child in Israel who, when a terrorist entered his classroom, somehow he grabbed the terrorist’s gun and held the terrorist at bay. And that was an example of how Israel trains and arms preschool kids on how to use firearms, and boy shouldn’t we do that in America?”. Walsh took to Twitter in recent days to reaffirm that he didn’t believe in training or arming kindergartners and urged people on social media to use the hashtag #BoycottShowtime. One video clip from the show that’s floating around the internet shows several former and current Republican lawmakers endorsing the idea of arming school children as young as four with guns. Immediately after Gaetz’s remark, the clip cuts to former Sen. Trent Lott saying “I support the kinder-guardian program.” Lott, who served as senator for Mississippi from 1989 to 2007, was the Senate Majority Leader from 1996 to 2001. Evan Vucci/AP; Cindy Ord/Getty Baron Cohen, who became famous for pranking politicians and celebrities on HBO’s “Da Ali G Show,” first previewed “Who Is America?” last week with a cryptic Twitter video that featured President Donald Trump mocking Cohen.